Hunts. 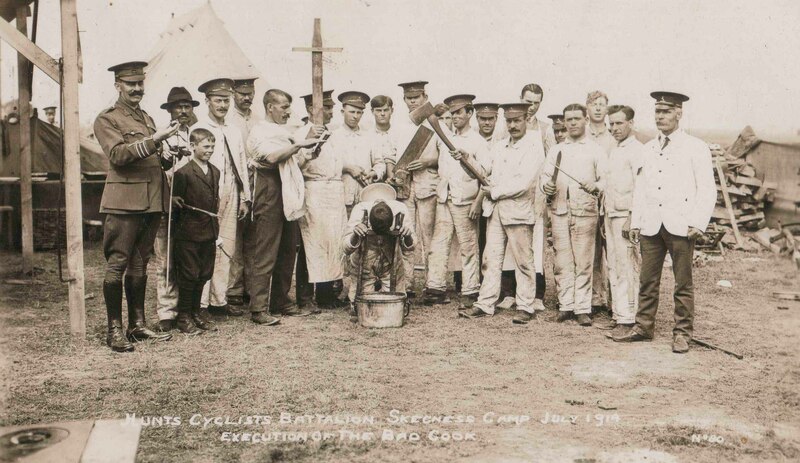 Cyclist Camp - Skegness Camp - July 1914. Execution of the Bad Cook. Copy of photo - thanks to Steve Farrant for his permission to publish it here. 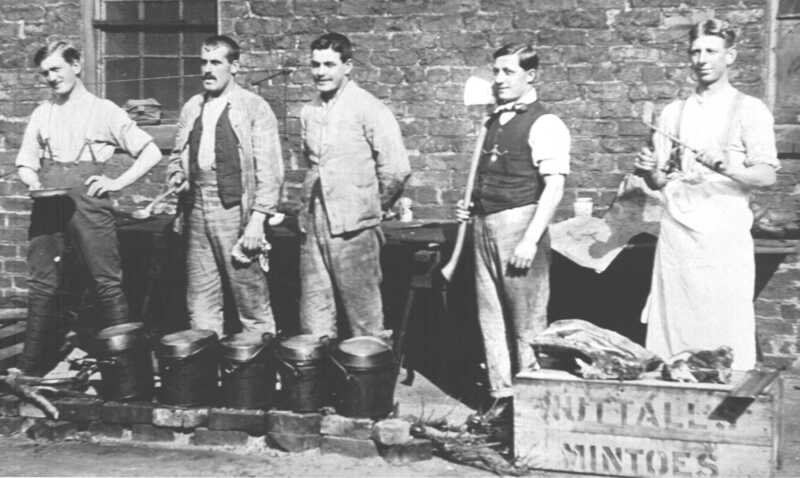 A group of cooks from the Hunts. Cyclist Battalion. Another group of cooks from the Hunts. 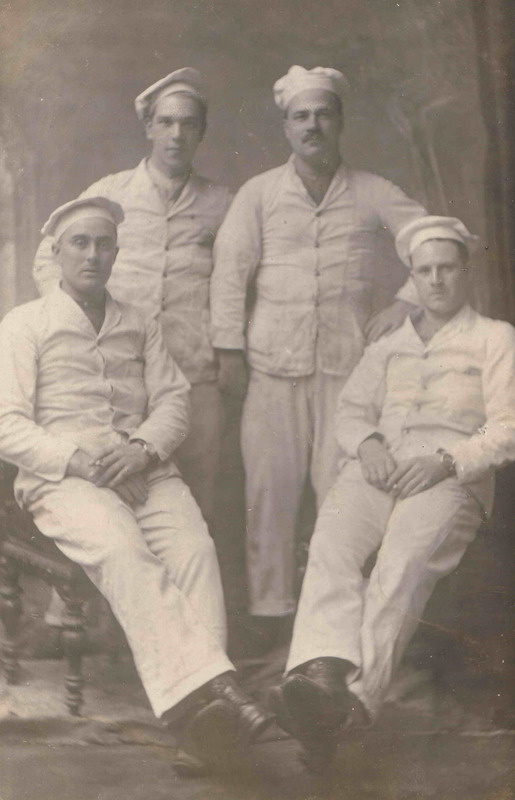 Cyclist Battalion on the East Coast during their stay 'Coast watching' - The man on the right as viewed is Harold 'Pecker' Bradshaw - see above link. Harold was the Battalion Butcher. Note the butchers block is a Nutall's Mintoes Box with the 'Billy Cans' on bricks next to it.